At the 2017 AMEE meeting in Helsinki, Finland, Matthew Gwee (Medical Education Unit - National University of Singapore) was awarded the AMEE Lifetime Achievement Award The AMEE Lifetime Achievement Award is awarded to someone who AMEE feels has made a considerable contribution to Medical and Healthcare Professions Education. Dr Gwee served IAMSE on the Board of Directors from 2008 until 2010. Joseph P. Grande, MD, PhD has been awarded the 2017 Alpha Omega Alpha Robert J. Glaser Distinguished Teacher Award. 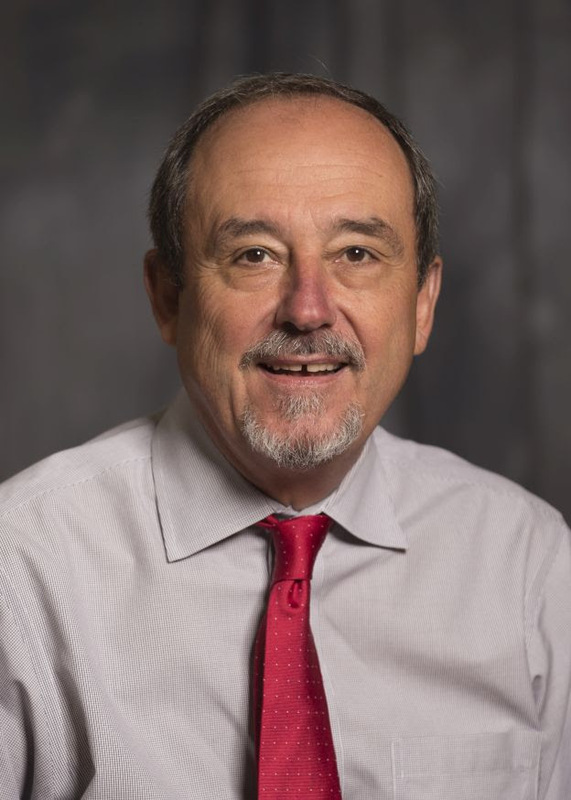 Dr. Grande has been a pioneer in advancing the integration of basic and clinical science in medical education since joining the faculty of the Mayo Clinic School of Medicine in 1991 where he is still on faculty. Students have recognized Dr. Grande many times for his unwavering support and commitment to creating a positive learning environment, naming him teacher of the year more than a dozen times. He is a highly sought-after mentor and has earned acclaim for supporting the research training of more than 70 learners, including high school students, medical and graduate students, medical residents, visiting clinicians, and research fellows. Richard C. Vari, PhD from the Virginia Tech Carilion School of Medicine has been awarded the 2017 Alpha Omega Alpha Robert J. Glaser Distinguished Teacher Award. Over a 30-year career, Richard C. Vari, PhD, has developed a reputation as an outstanding teacher, medical educator, and leader of curricular innovation. Dr. Vari’s success in implementing curricular reform is, in part, a result of his passion for education and talent as a teacher. Students at VTCSOM, UNDSOMHS, and Tulane University—where he held his first faculty appointment— have bestowed on him more than a dozen awards and accolades for his teaching and mentorship. Amina Sadik, MS., Ph.D., MSMEdL, IAMSE Fellow has been promoted to full professor at Touro University Nevada College of Osteopathic Medicine where she is Professor of Basic Medical Sciences. I am honored to serve as the next President of IAMSE, my medical educational family! I would like to personally thank Veronica Michaelsen for her leadership as president for the past two years and recognize three mentors in IAMSE who have provided me with their wisdom, support and encouragement: Adi Haramati, Giulia Bonaminio, and Amy Wilson-Delfosse. Thank You. I am excited to help facilitate and lead the Board of Directors and the many committee chairs and membership into an exciting future as we expand our connectivity to other health sciences educators from around the globe. We will work diligently together to not only provide outstanding programming, innovative educational opportunities and exciting and interesting meeting venues; but to explore new ways to expand the impact of IAMSE on health sciences education. The membership of our association, growing across multiple professions, is full of excitement and loaded with new ideas. We have a lot of momentum. We need to seize this opportunity to reach new heights. That will take teamwork and leadership, enthusiasm and hard work. Let’s get to it! From the WAS Committee: Registration is now open for the 2018 Winter Series - Competency-based Education: Where are we now and where are we going? If you still need to register for this series, please click here. Registration is set to open soon for the 2018 Spring Series - Integrating Nutrition and Wellness Instruction: Practical Applications for Health Science Educators. The series is set to begin on March 8! Keep an eye on your email and the IAMSE website for more information! From the Membership Committee: We know you have colleagues who would benefit from IAMSE membership! Encourage them to join by having them visit the IAMSE website here. From the Student Professional Development Committee: We have recently provided several students with feedback on abstracts they sent to us for review prior to final submission to IAMSE 2018. We are working closely with the program planning committee to incorporate student oriented activities at the upcoming conference in Las Vegas. These include a student happy hour, student lunch, and a focus session on going beyond an abstract to a publication. The focus session topic is based on feedback from a student survey administered at IAMSE 2017. We are also preparing a second set of surveys that will be administered to students and faculty to gather information on student research needs, barriers and incentives. From the Publications Committee: The Publications Committee has formed a search committee to identify an editor-in-chief for IAMSE Manuals. The organization is working with Springer to assume publication of the manuals as they do with Medical Science Educator. We hope to have the editor named within the next month and then an editorial board for IAMSE Manuals will be formed. The plan is to publish a minimum of 2 manuals per year. From CAMSE: The Committee for the Advancement of Medical Science Educators (CAMSE) has identified several goals for the upcoming year. The committee plans to develop concise IAMSE recommended toolkits designed to educate faculty and administrators involved in appointment, promotion, and tenure decisions about the various forms of medical education scholarship already in existence. The committee has also identifed the need to meet in person with key stakeholders involved in the advancement of medical science educators to review and develop collaborations to refresh existing resources. CAMSE is in the beginning phase of planning a summit to bring together faculty currently working on projects related to advancing the field of medical education scholarship and identifying sources of financial support for this initiative. From the Organizational Development Committee: The Development Committee has been working on some new opportunities for funding the association, including some sponsor opportunities for our meeting exhibitors. For Marketing a budget for 2018 has been developed, exhibit exchange agreements with partner organizations are being updated, and the preparation of upcoming exhibits has been started. For 2018 the committee is working on identifying goals in development as well as marketing to focus on in the upcoming year. AMFEM – Asociación Mexicana de Facultades y Escuelas de Medicina, A.C. The 22nd Annual IAMSE Conference will be held at the Green Valley Ranch and Resort, just outside of Las Vegas, Nevada, US from June 9-12, 2018. The IAMSE meeting offers opportunities for faculty development and networking, bringing together medical science educators from many professional disciplines and spanning the continuum of health care education.